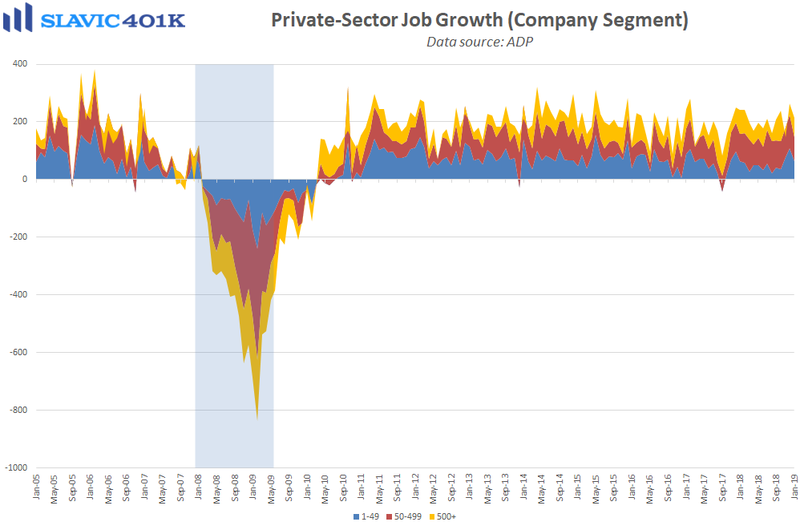 Private-sector payrolls rose by 213K in January, according to ADP data released this morning. 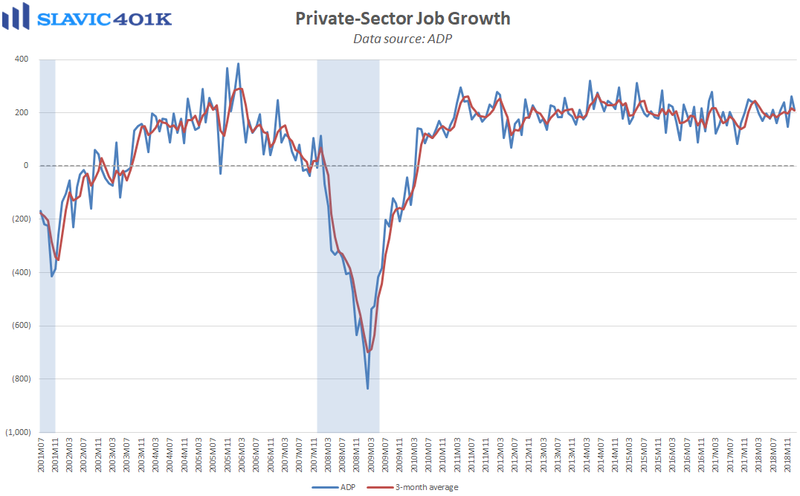 That was much better than the 174K increase economists expected and large enough to keep the less volatile 3-month average pace of job creation above 200K. 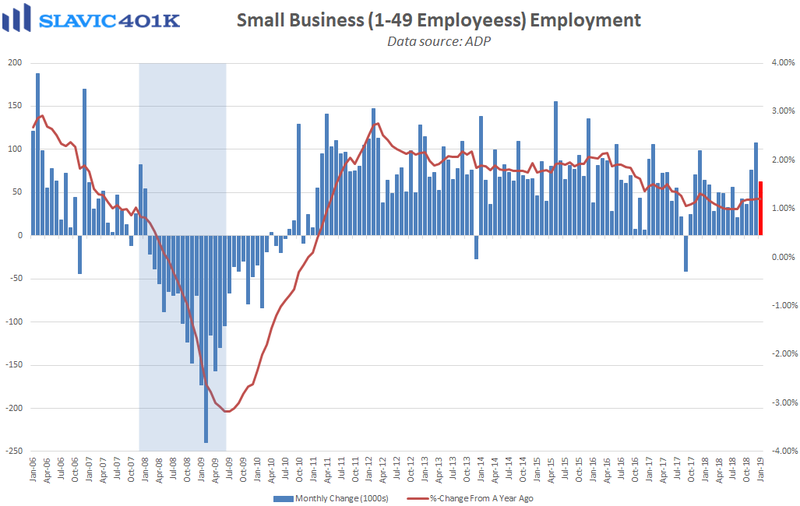 The payroll gains this month were broad-based, with increases seen across companies of all sizes and from almost every sector. 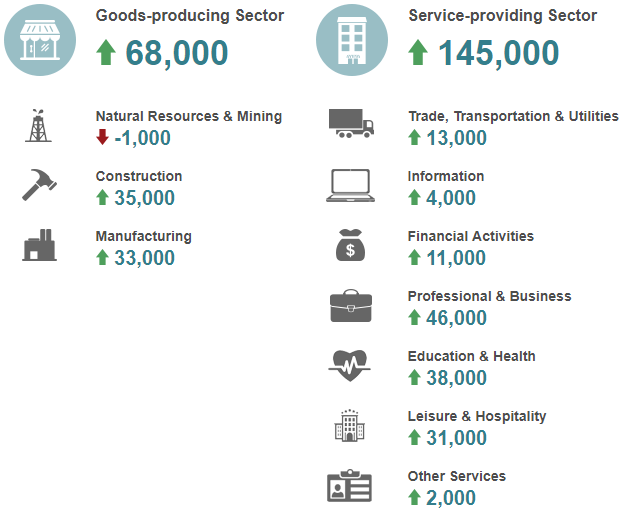 Hiring in the goods-producing arena was particularly strong in January, helped by elevated construction and manufacturing job creation.